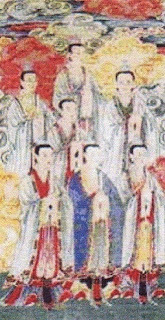 The Nine Emperor Gods (called “Jiu Wang Ye 九王爷” in Singapore and Malaysia) actually refer to the “Jiu Huang Da Di 九皇大帝” (The Nine Great Emperors) in the Taoist deities system (Taoist Patheon). The birth of the Nine Emperors happened to be on the 9th of September in the Chinese Lunar Calendar, and this day was often celebrated as the festival of “Jiu Huang 九皇” by the Taoists in Singapore, Malaysia, Thailand, Hong Kong and Indonesia. 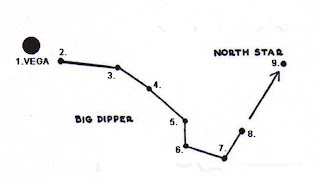 The origin of the Nine Emperor Gods can be traced back to the Taoist worship of the Northern constellation during Qin and Han Dynasty (北斗崇祀). Actually, the observation and worshipping of stars had already been present among the public before Taoism was founded during Han Dynasty. As Taoism was developed during Han Dynasty, it began to absorb this practice of worshipping the stars and began to deitify them as Gods. Goddess Dou Mu is also known as the Goddess of the North Star. She occupies a similar position to that of Kuan Yin the Buddhist bodhisattva. 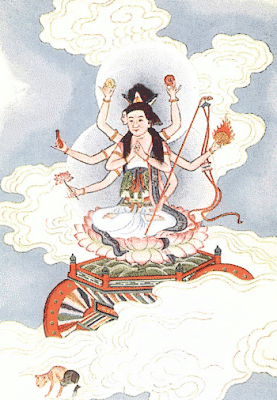 Goddess Dou Mu is credited with the attainment of all the heavenly mysteries. Only she alone among the Taoist gods was permitted to pass between the region of the moon and the sun. Goddess Dou Mu is the mother of the Nine Emperor Gods. Goddess Dou Mu is the keeper of the book of life and death, and those seeking good health and longevity often pray to her. Devotees of Goddess Dou Mu and the Nine Emperor Gods observe vegetarianism throughout the nine days of the Nine Emperor Gods Festival from the first day to the ninth day of the nine month of the Chinese Lunar Calendar. But my curiosity makes me plage and wants to know much about the legend and how to worships them..